I'm a sucker for gingham. 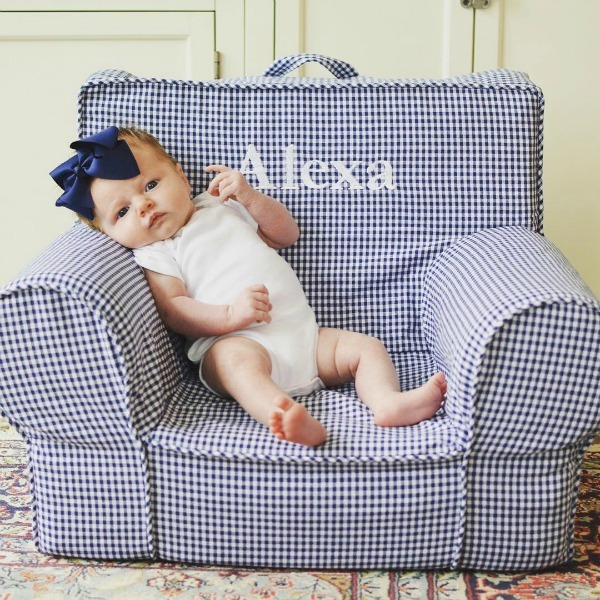 When I came across this chair on the Pottery Barn Kids website I had to have it in navy for Alexa. I love how it fits in with our living room decor and is different from her pink and grey nursery. A gingham upholstered chair has been on my wishlist.... I wasn't expecting to get one 2 feet tall but it works. Soon it will be used for more than just a photo prop but it will be fun to see her month to month pictures in it. I like that this blanket as the straps to make it easily portable. 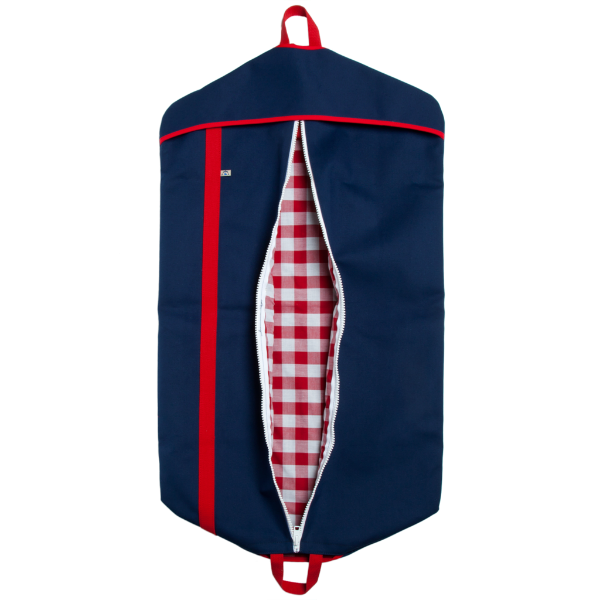 I want it for the Greenwich Polo sidelines. Have you ever tried on a printed dress and thought it would be better suited for wallpaper or drapery? Gingham is one of the prints I love for both, ha. I would swap out the gold belt with a brown skinny leather belt. 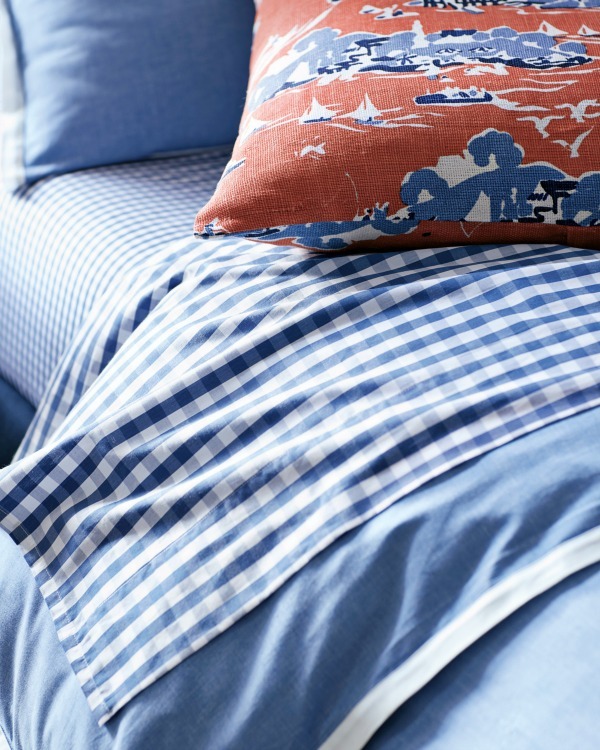 If I had a solid comforter I would get these gingham sheets for my bedroom. I am dying to go to the Serena and Lily store in Westport. Has anyone reading been? Scout bags make frequent appearances here. 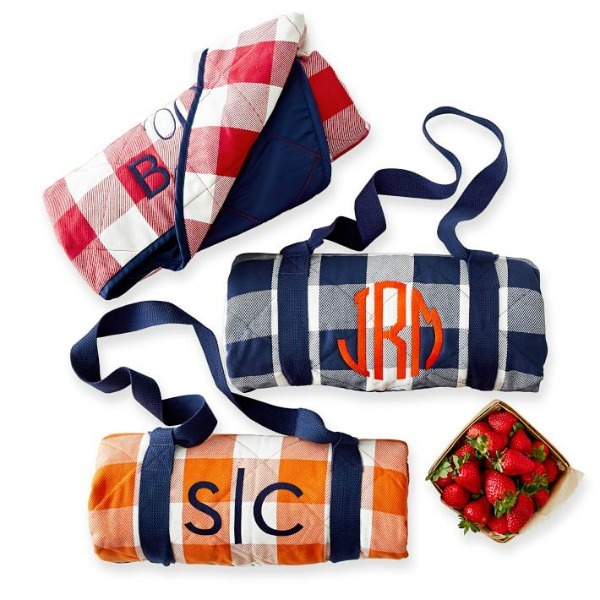 I have several of their bags for storage and travel (the 4 Boys Bag is my favorite) - they are durable and come in the cutest patterns. 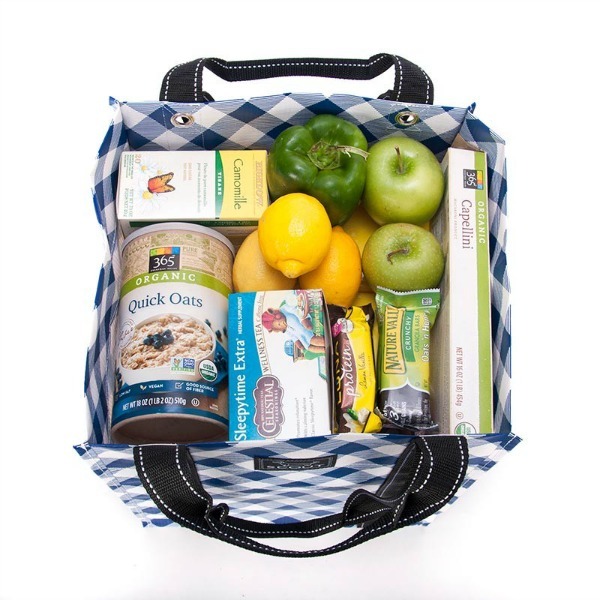 I hate when I forget my own bags for the grocery store... it's amazing how much more you can carry. I know this one would hold up. Use code BeachBum for 15% off $75+ through 7/5. 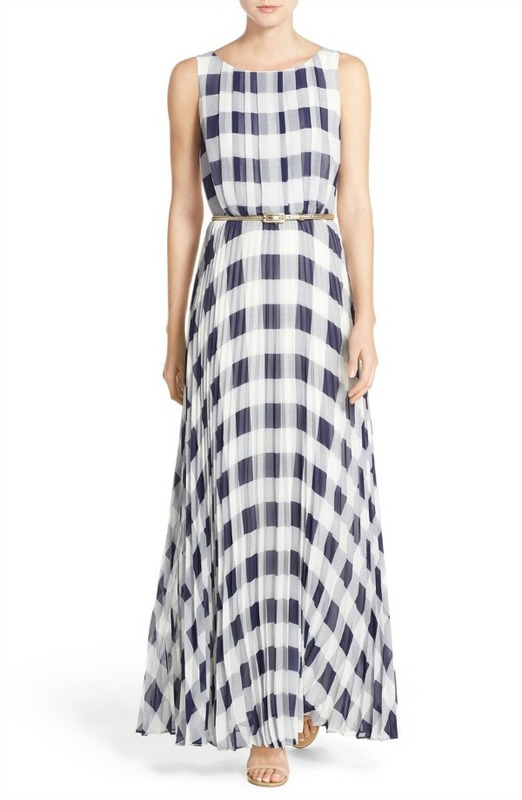 Love that gingham is everywhere; have you checked out the stuff at club monaco too! 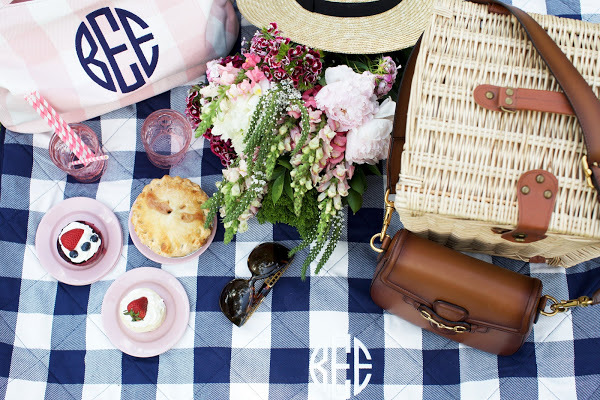 I seriously love that picnic blanket- it's a must have!